This program prepares students for positions in restaurants, resorts, hotels and other hospitality and recreational facilities. It also prepares graduates with skills needed to plan conferences, weddings and many exciting family and business events. Students examine trends in technology, globalization and human resource metrics. 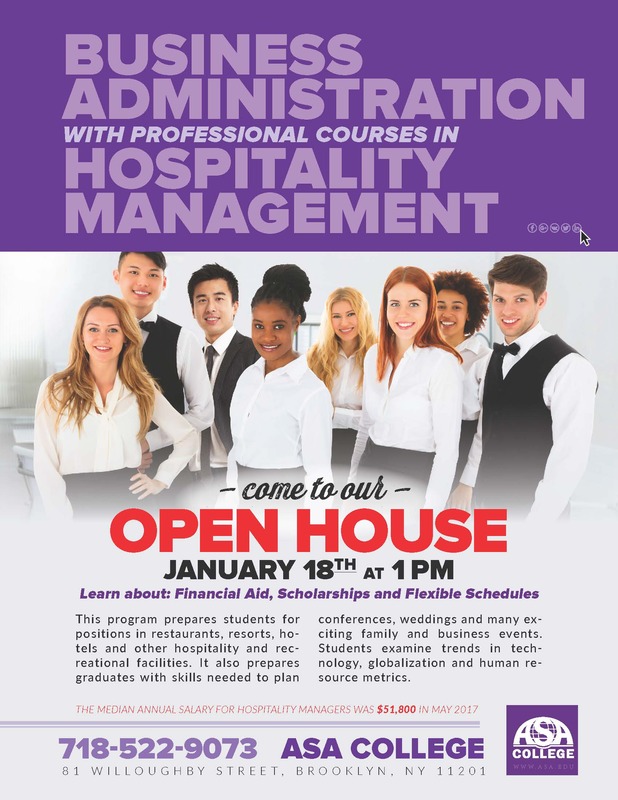 To learn more about our Hospitality Management course come to the Open House Friday, January 18th at 1pm. Don''t wait, RSVP 718-522-9073 TODAY to save your spot!